CHARITY SPOTLIGHT: This nonprofit organization brings horses to children and teenagers in Baltimore’s urban core. Many children growing up in Baltimore face a grim laundry list of impediments to success. The city of roughly 612,000 residents has a per-capita murder rate higher than Chicago and Detroit, ranking second only to St. Louis among major cities in the United States. An estimated 13 percent of Baltimore children have either been a victim of neighborhood violence or a witness to it. Almost one in five children in Baltimore lives in deep poverty—defined as a household income at or below 50 percent of the federal poverty line—and almost 5,000 Baltimore children have been identified as being homeless at some point during their time in the public school system. Sixty-five percent of Baltimore youth grow up in single-parent households. The city’s rate of lead poisoning in children is roughly three times the national rate; in some neglected pockets of the city, between 25 and 40 percent of children tested have elevated blood lead levels. But a child attending public school in Baltimore may also have access to an opportunity unheard of for most low-income children: the ability to take riding lessons at school. That’s thanks to City Ranch Inc., a nonprofit organization founded in 2007 with a novel approach to introducing children to the benefits of equine interaction: Instead of having the children come to the horses, the horses go to the children. 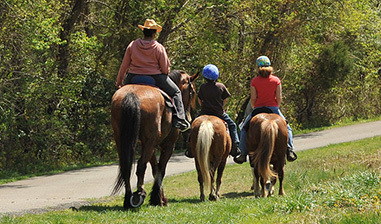 City Ranch’s programming is mobile and self-contained. Two trucks deliver a round pen, horses and all their associated equipment to a school, making it as easy for a student to try riding as it is to play soccer or baseball. It’s the only program of its kind in the United States, as far as founder Ahesahmahk Dahn is aware. If Charm City has crossed your mind lately, it’s probably not in relation to horses. Baltimore’s been noteworthy in recent years for its portrayal in the gritty HBO crime series “The Wire” and the riots that followed the 2015 death of Freddie Gray—an African American man who died from injuries he received while being transported in a police van. While you wouldn’t know it from the current narrative about Baltimore—tales of dilapidated vacant rowhouses, a booming drug trade, violence and urban decay—the city actually has a long history with horses. Pimlico Race Course, home of the Preakness Stakes, opened in 1870 and is nestled in a neighborhood within city limits, only six miles from Baltimore’s downtown and touristy Inner Harbor. The city’s mounted police unit is one of the oldest continually operating mounted police divisions in the country. And there’s a rich tradition of “arabbers”—African American street vendors operating colorful horse-drawn produce carts in neighborhoods throughout the city, although their numbers have dwindled. The rolling countryside of Baltimore County, which encircles the city of Baltimore itself, is also full of horse farms, including the famed Sagamore Farm, which was once the home of Native Dancer and is currently owned by Kevin Plank, the founder and CEO of Baltimore-based sportswear company Under Armour. And it was in Baltimore where Dahn developed his own passion for horses. He got his first equine exposure as a child in South Carolina, spending summers with his uncles, who were sharecroppers and used mules to work the land. After moving to Baltimore in his teens, a summer job at Nixon’s Farm just outside the city, not too far from where City Ranch is currently located, allowed that love of horses to take root and grow. Dahn maintained his interest in horses into adulthood and through a stint in the U.S. Army and careers that varied from industrial sales to elementary school teacher. He was also involved with another unique Baltimore nonprofit, the Downtown Sailing Center, which offers sailing classes in the Inner Harbor with a mission of making the sport—which rivals equestrianism in its reputation for being elitist—more accessible and affordable to all, including youth. Dahn spent 10 years on the Downtown Sailing Center’s board of directors and saw the methodology they used, noting how an activity not traditionally available to kids in an urban environment could provide unique learning, enrichment and employment opportunities. It was an unfortunately common Baltimore tragedy—a nephew who was a low-level participant in the drug trade was killed—that spurred Dahn to “ask some questions about what I’m doing with my life and why I’m doing what I’m doing,” he says. Dahn decided to use his own education and the opportunities that shaped his life to be part of the solution. He owned one horse, which he bought in 2004, and that became the genesis of City Ranch. He applied what he’d learned at the Downtown Sailing Center to create a similar program that used horses to open new experiences and new skills to Baltimore’s youth. “They get an exposure to an aspect of life that most people do not get,” Dahn says, noting that horsemanship isn’t something that most people, not just most kids in urban areas, get to experience. The organization houses 22 horses—most owned by City Ranch with a few boarders—on the leased farm, which is comprised of two steep hillsides cleaved by a valley. A mixture of paid staff and a group of about 20 active volunteers care for the horses and maintain the farm. Its location, just minutes from Interstate 70, makes dealing with the challenging terrain worthwhile, Dahn says: There are 20 to 30 Baltimore city schools within a 15-minute drive. In addition to schools, the horses visit nursing homes, residential treatment centers and any other similar facility that wants to have the horses come. Sometimes they give pony rides, and sometimes they simply stand around and get petted. They also do festivals, block parties, church bazaars and the like. The school visits are sometimes just a one-time day of pony rides, such as to celebrate after a graduation, but the meat and potatoes of the organization’s mission are the lesson programs that take place on school grounds. The round pen, horses and instructors come back week after week, for as many weeks as the school’s budget will allow. The kids who participate in the program learn basic horse handling skills, grooming and anatomy in addition to how to ride. And those who want to learn more? They can volunteer at City Ranch and work their way up to participating in the lesson program there. (Another benefit of the organization’s location—it’s within a 30-minute walk of a bus stop. Dahn hopes to someday provide shuttle service from the bus stop as well.) Some graduates of the lesson program have gone on to compete on the rodeo circuit or work at local racetracks. Some current volunteers hope to go to veterinary school. Dahn divides what the program participants learn into hard and soft skills. Hard skills apply to specific tasks like tacking up a horse, while soft skills are the things we all learn just by being around horses—how to read their body language, how to maintain spatial awareness so your feet don’t get stepped on, or you don’t get hit by the horse’s head when he suddenly lifts it up from grazing. Exposure to horses also opens a whole new world of employment opportunities, from photography to medicine. Christopher Griggs, 19, of Baltimore, first became involved with City Ranch when he was 12. Griggs started as a volunteer and then a part-time employee, working as a camp counselor or doing pony rides. After Griggs graduated from high school, he worked at City Ranch as a farm hand, then assistant farm manager, and now he’s the farm manager. He eventually wants to be a mechanic, with an eye on someday running a facility similar to City Ranch—somewhere people can come and ride, maybe a bed and breakfast, or a therapy facility. 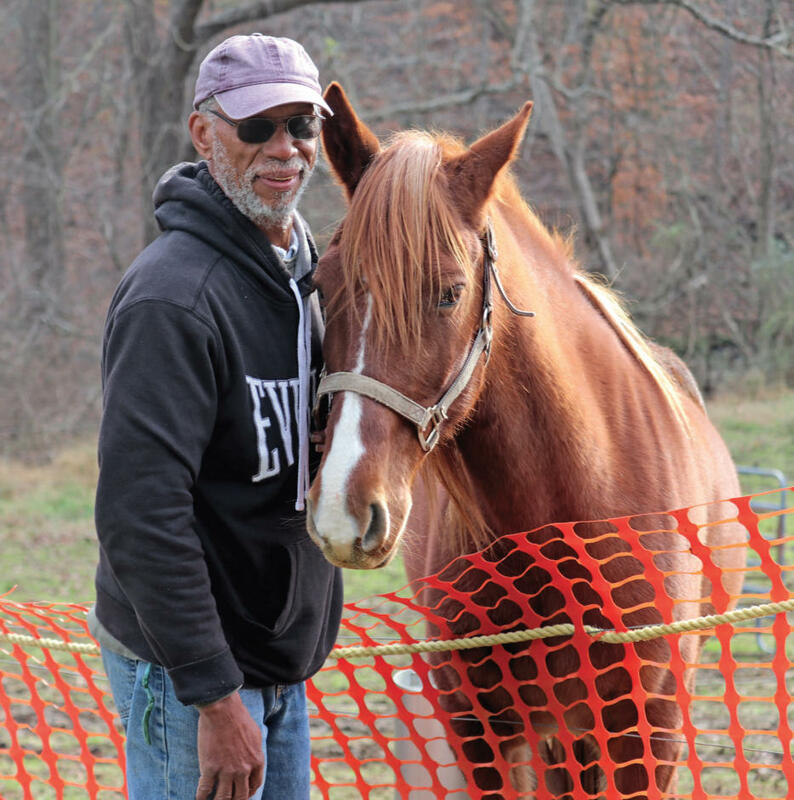 Asked to summarize what he gets out of working with horses, Griggs offers one word: peace. “Working with the kids, working with the horses, seeing how they peacefully coexist—I wish that us as a people would peacefully coexist,” he says. Anyone who spends any time around horses knows what a positive influence simply being around them can have, so why should that experience be limited by geography, income level or access to transportation? Dahn encourages those involved with horses to spread the gospel, so to speak, and not just in their own communities. 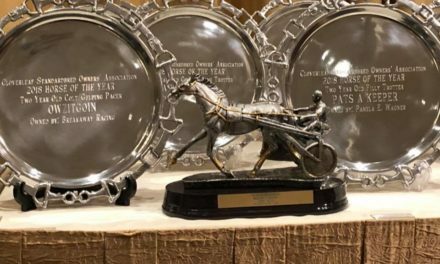 “I get it that dressage is your passion, but one day you’re gonna be gone, and what have you done to expand the sport to those who can also do it but have not had the opportunity for whatever reason?” Dahn asks. Like all nonprofit organizations, City Ranch needs financial support and donations, but it’s not the only way to lend support. “Get in and let the children see what you’re doing,” Dahn says. “Dressage and hunter/jumper and all those kind of things, that’s happening on the fringe of the wilderness [from the perspective of a child in the city]. Getting there is an absolute journey. Holy Cricket! What is going on with Schooley Mill?